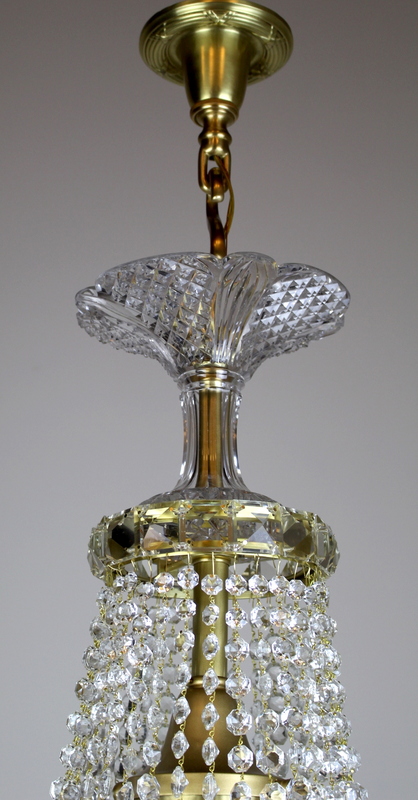 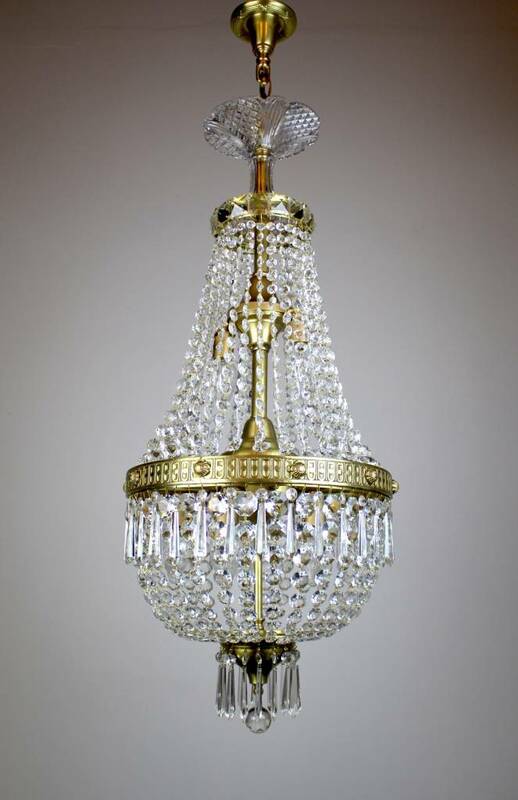 Beautifully Restored Georgian Style Crystal Basket Fixture with 7 interior lights. 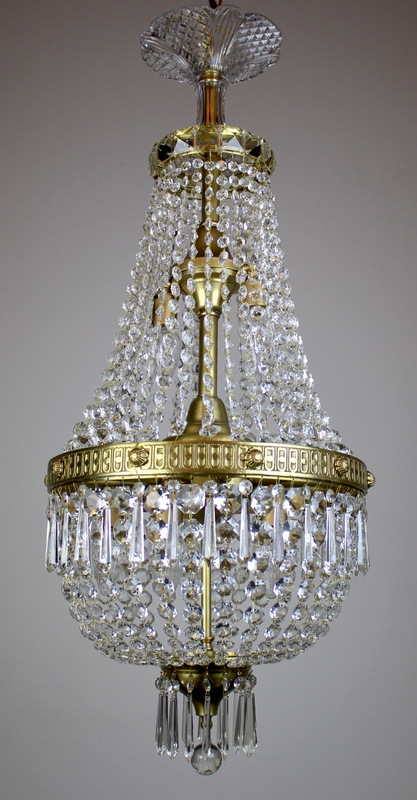 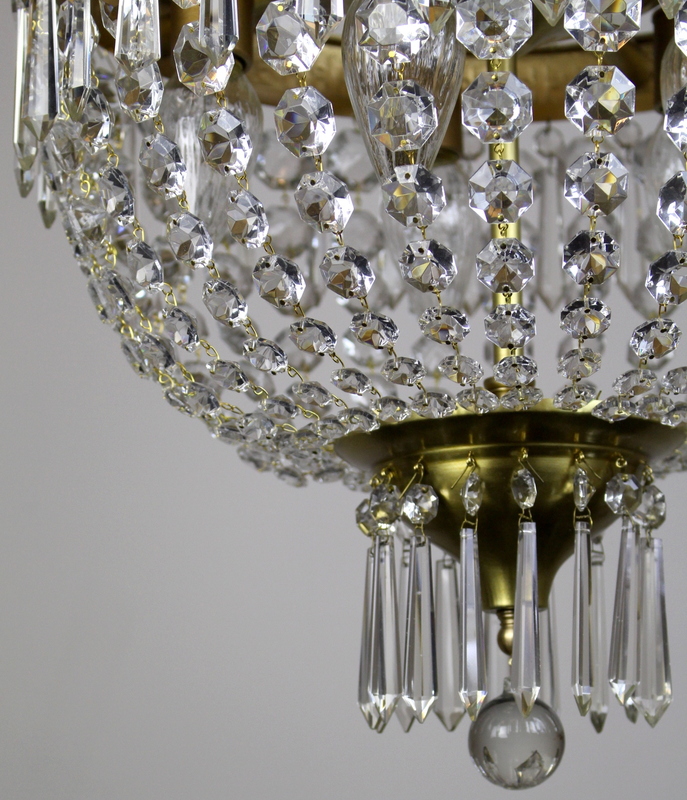 Note the brilliant and deeply cut crystal top piece – a true sign of a classical revival fixture. 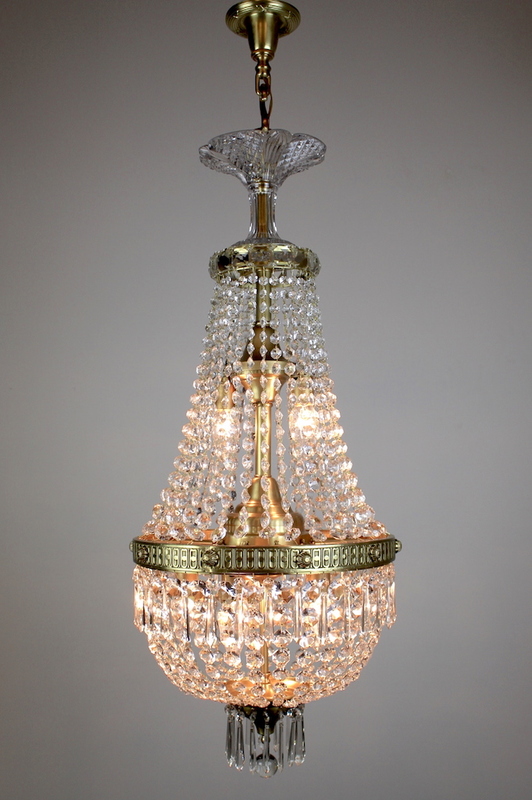 Suitable for any room, this fixture lends itself to both the period and contemporary home. 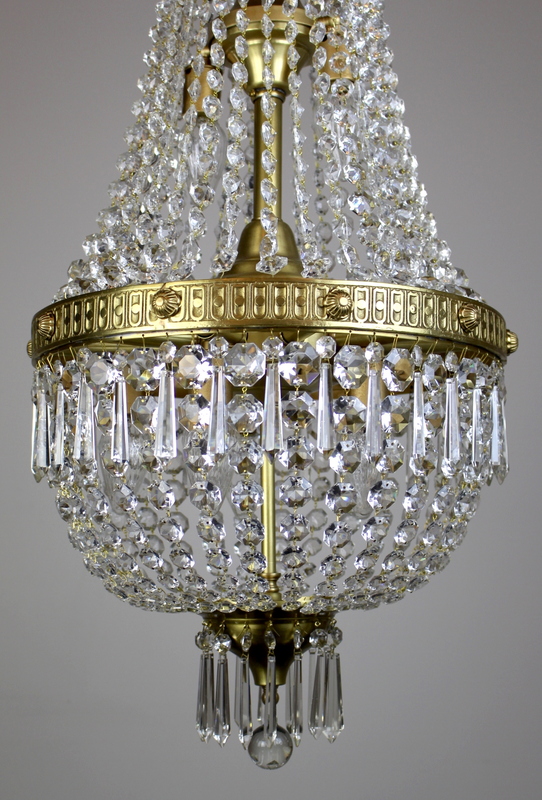 See more: Antique Chandeliers, Antique Lighting, Latest Antiques.